Successfully Added Android Tablet PC - Quad-Core, Bluetooth, OTG, 8GB ROM, 16GB SD Card Slot, 9-Inch HD Display, 3200mAh, WiFi to your Shopping Cart. 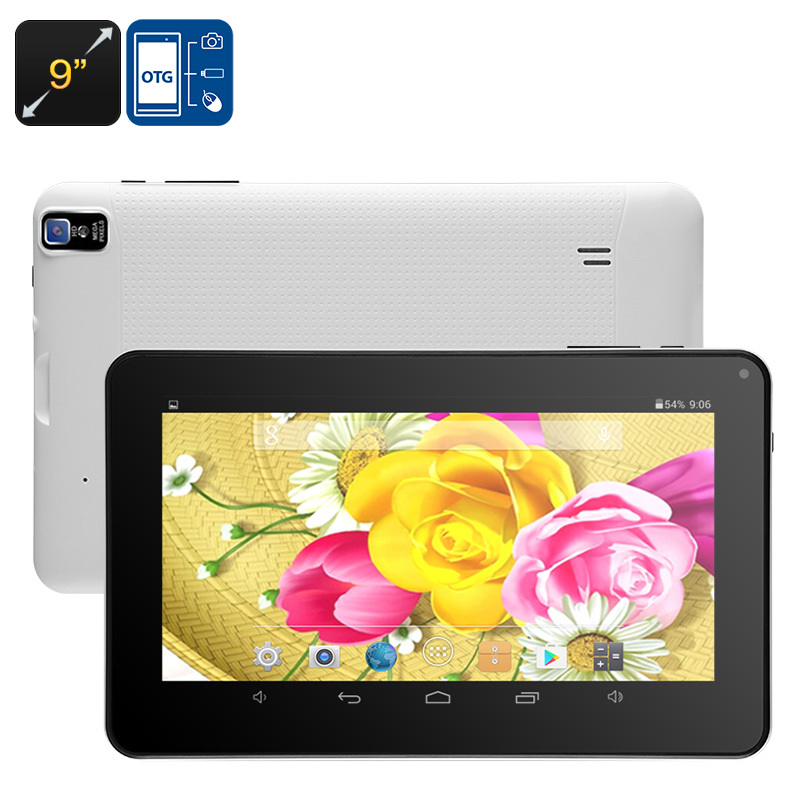 This cheap Android tablet is a great gizmo for your son or daughter. With its durable design, this tablet PC has been crafted to withstand a hit. It comes with a beautiful 9-Inch display on which it portraits all media in crisp HD resolutions. This means that you’ll be able to enjoy movies and games in beautiful color and detail. With 8GB internal storage and 16GB SD card support, it treats you to plenty of space for keeping your media files. A Quad-Core processor is in place that lets you handle all the basic Apps and media out there. If you’re looking for a cheap tablet to keep your kids entertained, this gadget is a perfect choice. With WiFi support, your Android tablet computer lets you browse the internet and stream media whenever you feel like it. The tablet furthermore supports Bluetooth thanks to which you can use it with external wireless gadgets such as speakers and keyboards. For those of you that wish to hook up wired accessories such as a game console, this Android tablet PC supports OTG. Overall, it brings along a great performance for you to enjoy while playing games, watching movies, and browsing the web. Thanks to a powerful 3200mAh battery, your cheap Android tablet delivers up to 3 hours of continuous usage time. This is enough to watch an average movie from beginning to end or to browse the web for hours in a row. With its 2MP camera, the tablet computer lets you shoot crisp pictures and video of all those special moments in life. Whether you use it for browsing the web or playing basic games – this Android tablet is sure to meet your demands.